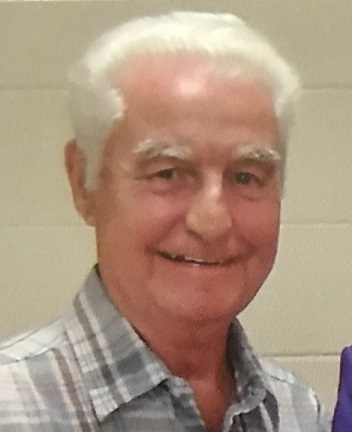 Kenneth Eugene Carter (Known as Sporty & Dip), 87 of Hartford, WV passed away Friday August 24, 2018 at Holzer Hospital. Born February 5, 1931 in Pliny, West Virginia, he was son to the late Oma Melton and Ephrim Carter, and stepfather John Melton. He is preceded in death by his father and step father, Ephrim Carter and John Melton, by his mother Oma Dewberry Melton, by son Rocklun Eugene Carter, by his daughter Stacie LaVon Carter, 2 brothers Henry Carter Sr. and Carson Carter, by sister Margaret Legg, and by son-in-law Ewell Leland Turley. He is survived by his wife of 67 years Macy Lou Killingsworth Carter of Hartford, WV, two daughters Lore Whitmore and son-in-Law Bob Whitmore of Highland, IL & Connie Turley of Hartford, WV, by four grandchildren Shawn Turley & Rose Turley of Flatwoods, KY, Tonya & Kyle Troxell of of Highland, IL, Justin & Lori Whitmore of Highland, IL, Cristy Turley & Brian Patton of St. Albans, WV, and by five great grandchildren, Jarod Turley, Brianna & Christopher Evans of Flatwoods, KY, Ethan & Wyatt Troxell of Highland, IL. He served his country in World War II based in Germany. He retired from American Electric Power (Philip Sporn Plant) in 1991 where he worked as a Tug Boat Operator. He was an active member of the Church of Christ in Christian Union in Hartford, WV. Services will be: Viewing from 5-7pm Tuesday August 28, 2018 followed by funeral services at 7pm. Burial will be 11:30 am Wednesday August 29, 2018 at Fairview Cemetery Bidwell, Ohio.